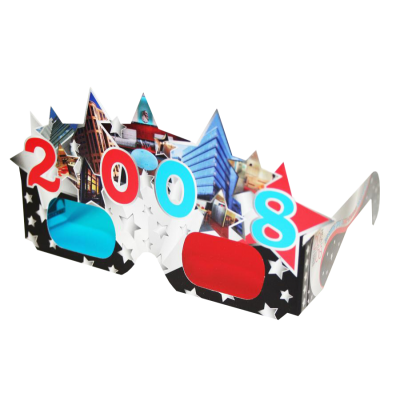 Custom Shapes 2008 - An architectural firm in New York celebrated the New Year by giving out these custom shaped Statue of Liberty 3D glasses to their clients. 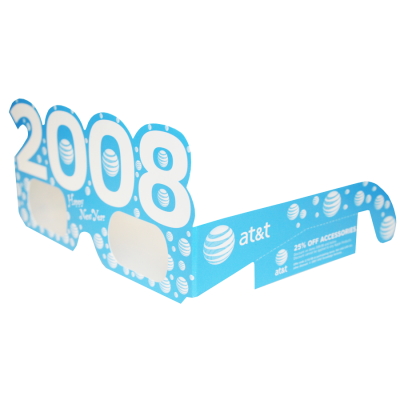 Custom Shapes 2008 - AT&T celebrated the new year by providing custom 3D Fireworks glasses to their customers. The customers could then use the coupon (from the glasses) for 25% off various accessories.